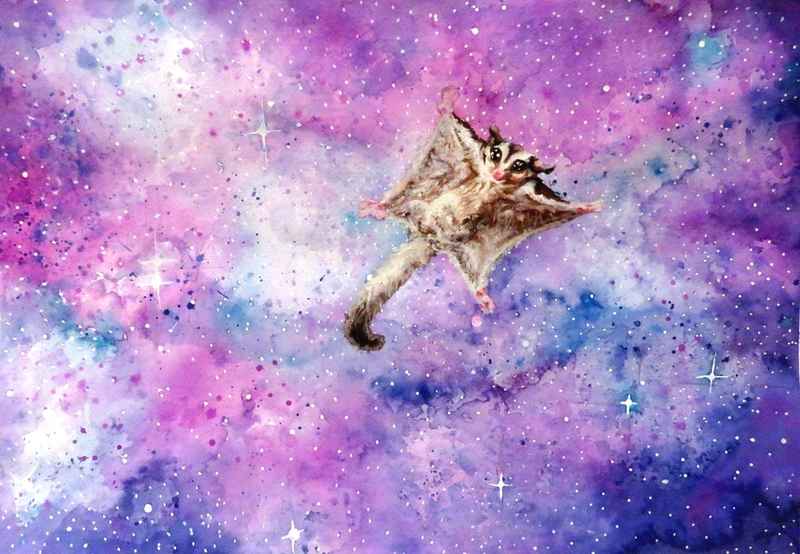 Astropets is a series of whimsical watercolor creations depicting beloved animal friends in the ultimate freedom of outer space. What kind of mischief would your little bundle of joy get in if left to his/her own devices in worlds beyond our own? A variety of puppies, sugar gliders, and other animal oddballs all make their appearances in this playful body of work. Each painting is built with a variety of watercolor layers to mimic the luminosity of far off galaxies.